HVC welcomes volunteers with skills that are needed and transferable. Due to the nature of the work, short term placements are not suitable as this is a large functioning school, and the need to provide stability for all the children and staff is fundamental. While HVC can consider some one-month placements at particular times of year, longer term placements are valued. If you are a qualified teacher, or a teacher-in-training, please do get in touch. 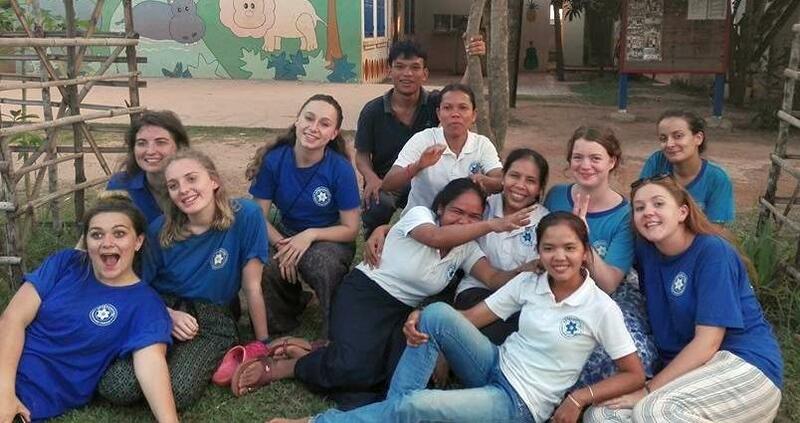 We are proud to have placements from organisations such as Project Trust, Eurasianet and Cambodia Volunteer Foundation. Volunteers can obtain a 30-day business visa on arrival which can then be extended in-country; however, this situation is constantly under review, so it is recommended you that speak with your consulate or nearest Cambodian embassy, and obtain advice from your national government. Any volunteer working here will need to undergo a DBS (formerly CRB) check and provide an employer's/academic reference. If you are not from the UK, you will need to provide a valid criminal background check and/or a police reference. You are applying to work in a school, so please expect the same levels of diligence as you would if applying in your home country. Generally, HVC will aim to meet or talk to all volunteers in order to discuss the most appropriate role for you in volunteering, and take you through the child protection policy. We have a strict child protection and safeguarding policy in place, which you will need to review beforehand and sign. You will be expected to acquire appropriate travel insurance that allows you to work in a school and we may ask for a copy of this beforehand. There is no charge for volunteering, but there is a cost to the charity to have volunteers here. Volunteers will be asked to buy 2 tshirts, usually around $5 each, to be worn during your working time. You are welcome to buy as many as you wish of course! 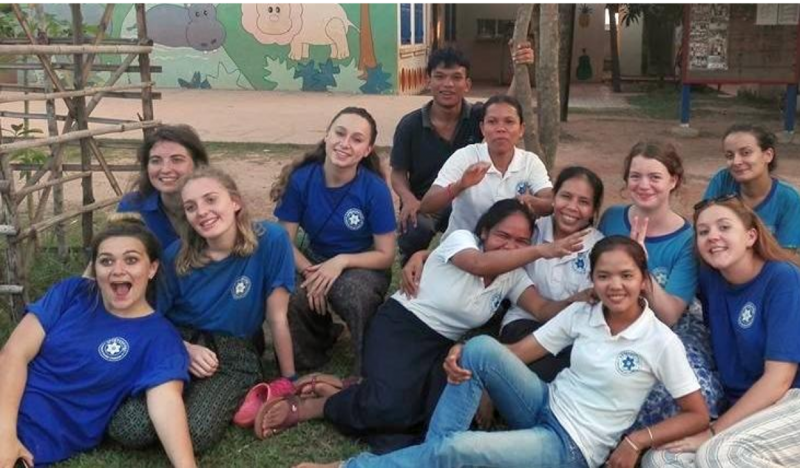 Please remember that while you are wearing the Honour Village Cambodia teeshirt, you are representing the charity. There is no accommodation on site, but some rooms are available in a village house nearby for around $60 a month. This is a very rural location, outside town, so if you prefer, there are also several supporters in the town of Siem Reap who will be very happy to offer you bed and breakfast packages and may include transport (we are about 20 minutes tuktuk or 30 minutes by bike from the town centre) and airport pickup. By all means, ask for an introduction or book your own accommodation for the first few days to settle in. Please note, this is no easy task - It's hot, sticky and dusty, and at times, very, very wet! 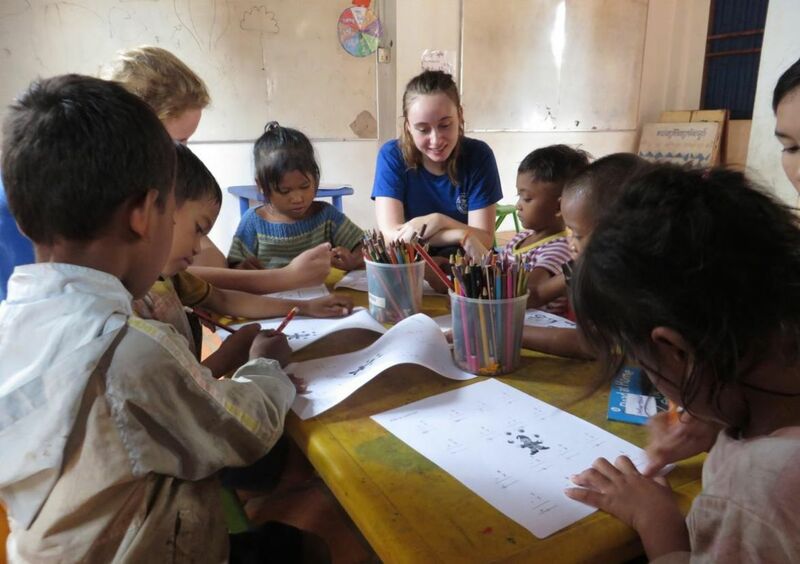 Volunteers will generally act as teaching assistants to national teachers and professional or long term teaching staff. Occasionally you may be asked to teach a class, particularly if you are qualified, but you will never be asked to do something you’re not comfortable with. Highly motivated play leaders also provide an extremely valuable English and social learning experience for our children. Other possibilities also include working in the library, cleaning and redecorating, playing ball games, reading stories to small groups, enjoying a picture book or joining in with a jigsaw puzzle. HVC is a charity so we encourage volunteers to try and raise any funding for our work before they arrive. The budget for a charity is always tight and we try to make our finance go a long way, but classrooms age and break, roofs need replacing, bicycles get punctures. When we say every penny counts – it really does. Ask us for ideas if you're stuck if you wish to do something or if you want a hand. We are always looking for flexible and willing volunteers! Download the Volunteer Handbook to find out more!